We are opening our web store! There is containing import goods, Original goods, and Uchinoura exclusive goods and more. Uchu-cafe produce launch event at Uchinoura rocket launch site with lunch. We can deliver our Airstream pod for your town. And we will be able to produce space and galaxy event at that time. We are nomadic team, and we are any time searching new base camp in planet 3rd. We were launched web store at August 15th 2017. There is containing import goods, Original goods, and Uchinoura exclusive goods and more.Which the package whom got our products at once, who inevitable repeat coming our store. 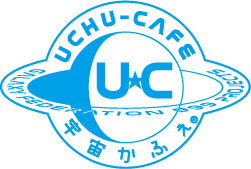 Uchu-cafe produce launch event at Uchinoura rocket launch site with lunch.It will be contain Uchu-cafe market, workshop, and off course countdown party!! And then, we will be grow up to big festival with not only Uchu-cafe but also many relation partner companies. We are producing original “Uchu goods”. Those are feel more familiar with “Uchu” to all people. And one of our goal in this mission is make all people like “Uchu culture”.